Description: Are you ready to start your training, Agent? How to Be an International Spy: Your Top Secret Guide to Espionage ($17.99) by Andy Briggs will teach aspiring undercover investigators (ages 8+) all they need to know about the shadowy world of spies. 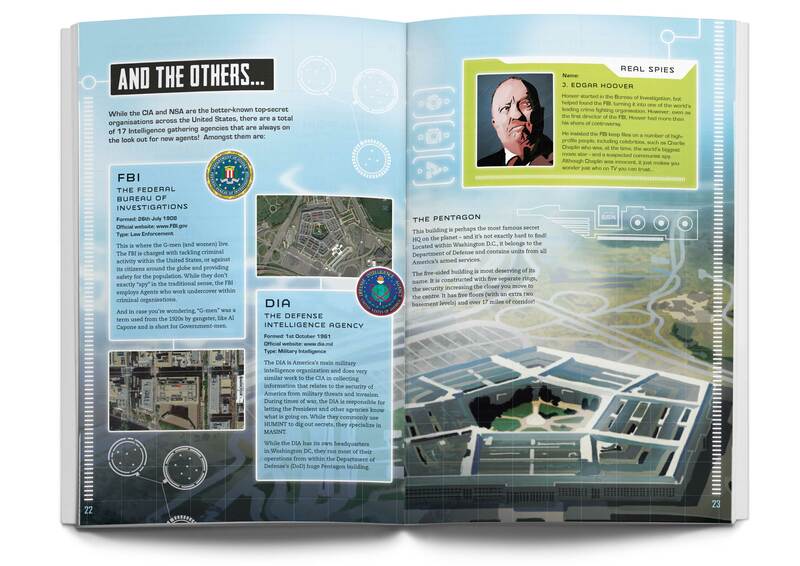 From cool gadgets and sneaky surveillance to code cracking and daring decoys they can try in real life, this guide will take readers through the ranks of new recruit to secret agent in no time. Do you love mystery, suspense, secrets and intrigue? Is your kid in love with Spy Kids? When I saw the title of this book, How to be an International Spy, I immediately felt drawn to it. I received the book in the mail and the first thing that struck me was how long it was! I was not expecting something so detailed and cool! 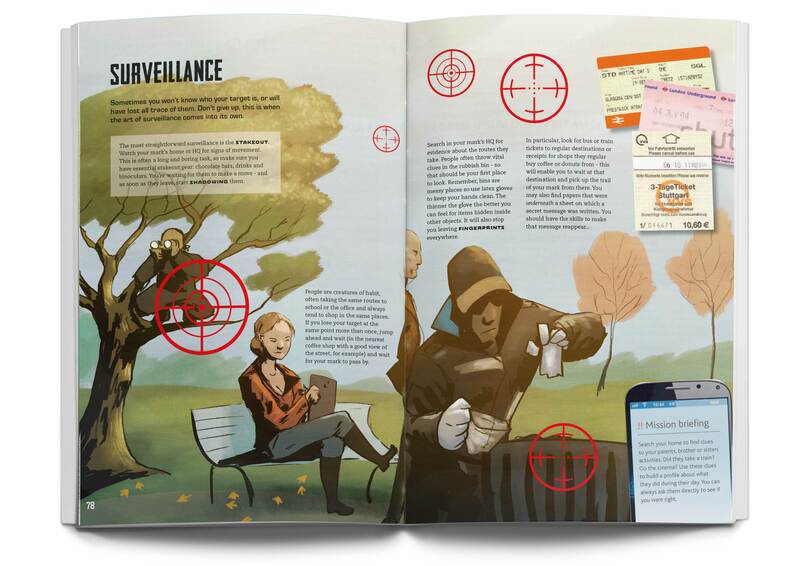 I thought I was going to be writing a review for a Kids book, but this little encyclopaedia of spydom grabbed me too! The book is structured as an agent training, where they let you in on more secrets and more information the further you read. You go from simple recruit all the way to full super secret agent. It contains a very thorough, but simple and kid friendly, brush through the history of spying, as well as the different governmental organizations throughout the world, from the CIA to the Israeli Mossad. From tricks and tips on how to write with invisible ink, to lifting fingerprints and deciphering codes, this book pretty much covers every single aspect of spying in this new era. Hackers and all. There is a Track the Agent “mission” towards the end of the book, but that was the one thing I did not quite follow or understand. I guess I would make a very poor spy! My 7 year-old was pretty interested in the couple of pages that she read, but she didn’t go through the whole book. I think this would be a much more fun adventure for older kids – maybe 10 and older. But if you have a specially keen kid on the subject matter, I’m sure she or he would love this book! I certainly did, and got to learn lots of new things. However, and be warned, this will give kids tons of information on how to solve mysteries — and also how to keep secrets… so be aware and make sure to know such tricks yourself! NOTE: I received a complimentary copy of this book to facilitate this review. All opinions are my own. From the world’s leading travel media company comes Lonely Planet Kids, a children’s imprint that brings the world to life for young explorers everywhere. We’re kickstarting the travel bug and showing kids just how amazing our planet can be. We will inspire and delight curious kids, showing them the rich diversity of people, places and cultures that surrounds us. We promise to share our enthusiasm and love of the world, our sense of humour and continual fascination for what it is that makes the world we live in the diverse and magnificent place it is. It’s going to be a big adventure! Come explore. Terms and Conditions: NO PURCHASE NECESSARY TO ENTER OR WIN. VOID WHERE PROHIBITED BY LAW. A winner will be randomly drawn through the Rafflecopter widget and will be contacted by email within 48 hours after the giveaway ends. The winner will then have 72 hours to respond. If the winner does not respond within 72 hours, a new draw will take place for a new winner. Odds of winning will vary depending on the number of eligible entries received. This contest is in no way sponsored, endorsed or administered by, or associated with Facebook. This giveaway is sponsored by Lonely Planet Kids and is hosted and managed by Renee from Mother Daughter Book Reviews. If you have any additional questions – feel free to send and email to Renee(at)MotherDaughterBookReviews(dot)com. Renee, as always, it’s been my pleasure! Do read it. It is a lot of fun!